Sue Pope is a specialist in DNA analysis, interpretation & evaluation, & in Case Assessment & Interpretation. Sue is a Fellow of the Chartered Society of Forensic Sciences. She is chair of the Forensic Science Regulator DNA Specialist Group & is an assessor for the Netherlands Register of Court Experts (NRGD). 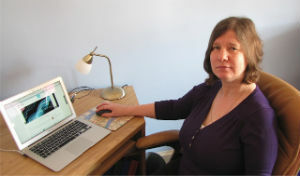 Sue provides independent review & expertise for prosecution & defence in the Criminal Justice System, in the UK & abroad. She delivers training for forensic scientists & students on DNA analysis & interpretation, Expert Witness in Court & applying Case Assessment & Interpretation methods. She works on international projects for developing & accrediting of laboratories & on guidance documents for organisations including the UK Forensic Science Regulator. Sue graduated from Leeds University in 1984 with a PhD in Biochemistry, & carried out post-doctoral research on DNA & cancer, joining the Forensic Science Service in 1987 as a researcher on DNA profiling. During 25 years at FSS she became a court-going expert witness specialising in complex DNA cases, including the introduction of new DNA techniques, giving evidence on hundreds of cases in many jurisdictions. She also specialised in Interpretation & was a DNA Principal Scientist. During her time there she published many research articles & also contributed to the Royal Statistical Society Nuffield Practitioner Guide series. Sue has been the external examiner for the BSc in Forensic Biology at Strathclyde University & the Lead Assessor for Human Contact Traces for the Council for the Registration of Forensic Practitioners, & is a member of the Specialist DNA Working Group of the Forensic Regulator. She developed & delivered training courses, assessments & post-course assurance programmes in DNA analysis, interpretation & evaluation & in Case Assessment & Interpretation, for FSS, ENFSI, Judicial Studies Board, Pathologists, & MSc students at Kings & Imperial Colleges.